It was by mistake that I had first bought a packet of Val Ranguni from the Indian store. I wanted white beans, preferably Cannellini for a recipe but couldn't find it. Spotted a pack of Val Ranguni instead and thought it would do only to find out later that Val Ranguni or Butterbeans do not fall into the white bean category at all. Val Ranguni is a variety of lima beans that is white and flat and is used in Indian cooking while Cannellini beans are a variety of white beans related to the kidney beans and is popular in central and southern Italy. This recipe is quick, easy and satisfying. It makes a hearty dinner along with bread and some stir fry. Put the oil in a saucepan. Stir in the garlic, rosemary and zest in it and heat the oil slightly. Now add the cooked beans to the pan. Using a potato masher or a flat spoon mash the cooked beans and thoroughly mix the herbs into it. Squeeze in the juice if using and mix it well. Sending this to My Legume Affair Event, an event started by Susan of the Well Seasoned Cook, presently managed by Lisa of Lisa's Kitchen and hosted this month at Oh Taste n See. Butterbeans have always seemed a like a good idea to me, I've just never figured out a method I enjoy. 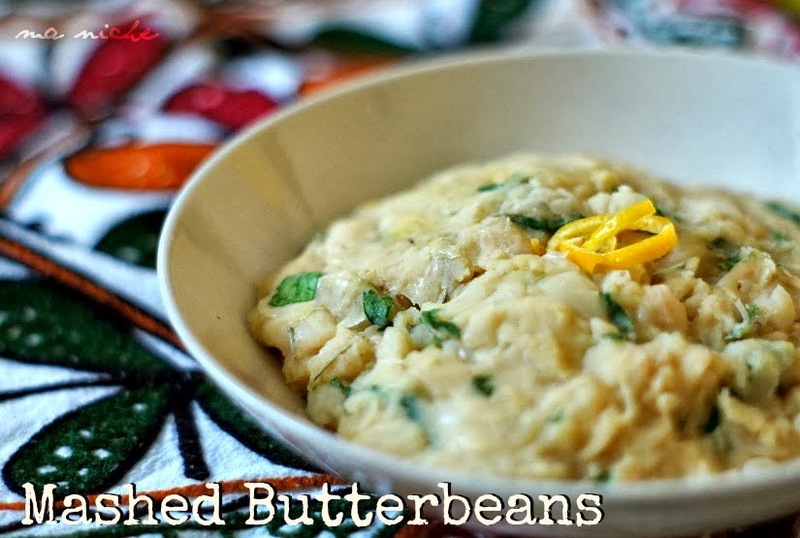 These sound very tasty with the lemon and garlic - and I imagine the texture is a bit creamier than true white beans... Very tasty! Hi Tanusree, I love this recipe for mashed butterbeans…They look like they could be a great substitute for potatoes. Yum! Delicious mashed butter beans yumm. What a great way to prepare beans. I am glad you shared it with My Meatless Mondays. 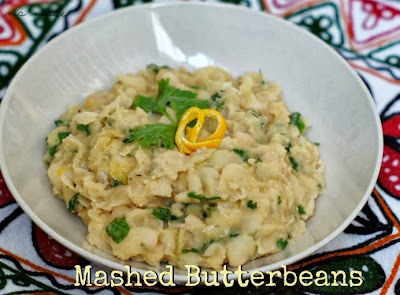 I just love Butterbeans, but have never had them mashed. I can't wait to try this recipe. Hope you are having a great day and thank you so much for sharing with Full Plate Thursday!